Marcus van Geyzel records what he personally witnessed at Bersih 3.0. Ahmad Azrai, on why peace-makers will always triumph over war-mongers. Media statement by Human Rights Watch. 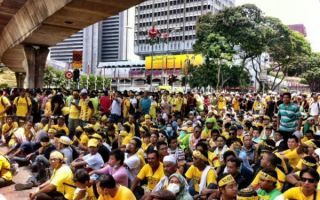 Hafidz Baharom’s account of a supposedly ‘illegal rally’ supported by the King but not the police. How Shanon Shah overcame his excuses and joined Bersih in 2007.